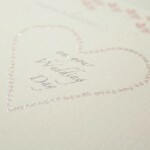 Wedding Day is a delicate design of tiny hearts edged in silver glitter. 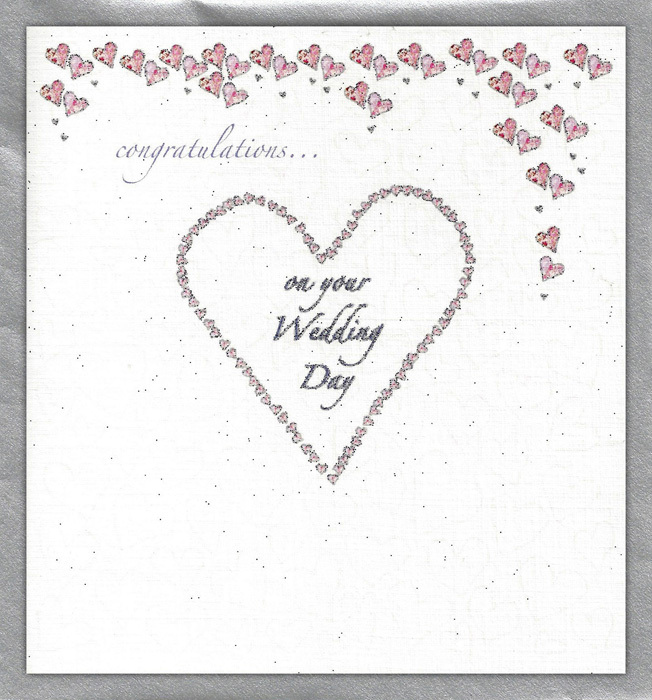 The words read “congratulations on your Wedding Day” and the size of the card makes it perfectly understated. Beautiful. Swatches of vintage fabric have been made into a collage, then printed onto thick, white, linen-embossed board. 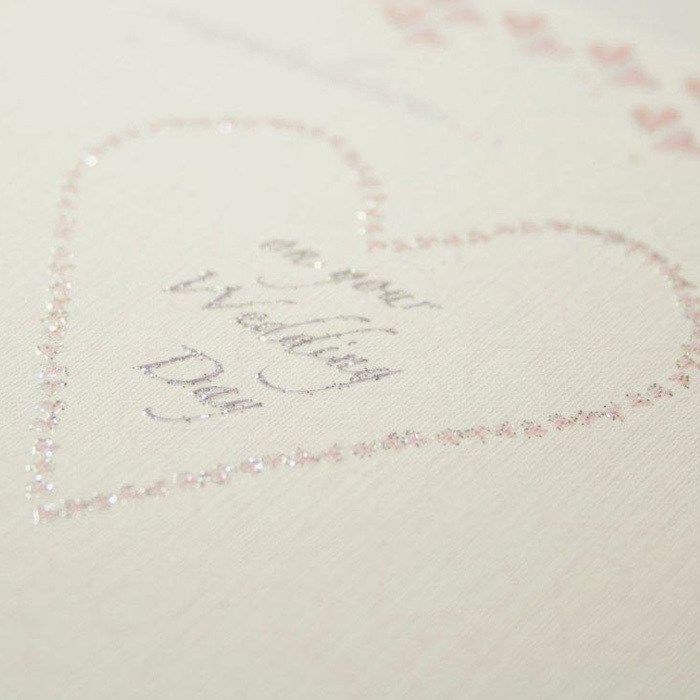 Each one is then delicately finished with glitter.